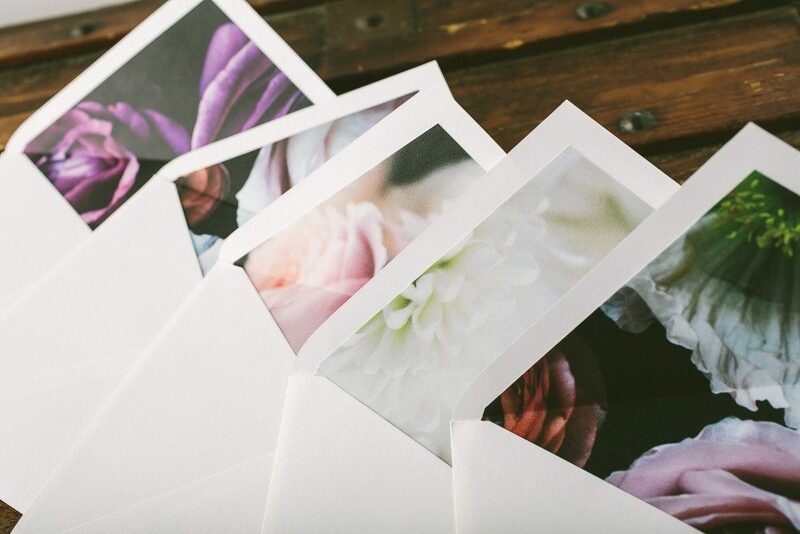 We are thrilled to finally be sharing a sneak peek at our new Flora Collection! These floral patterns were created earlier this spring in collaboration with Kate Ignatowski and Photosynthesis Floral Design, and will be available in stores and online very soon. 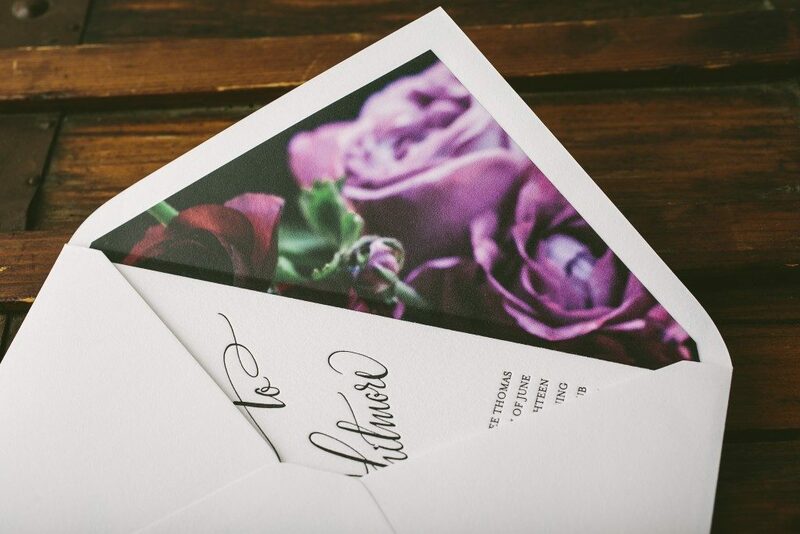 We paired these pretty new patterns with some of our existing invitation designs to give you an idea of some of the new possibilities — take a look! 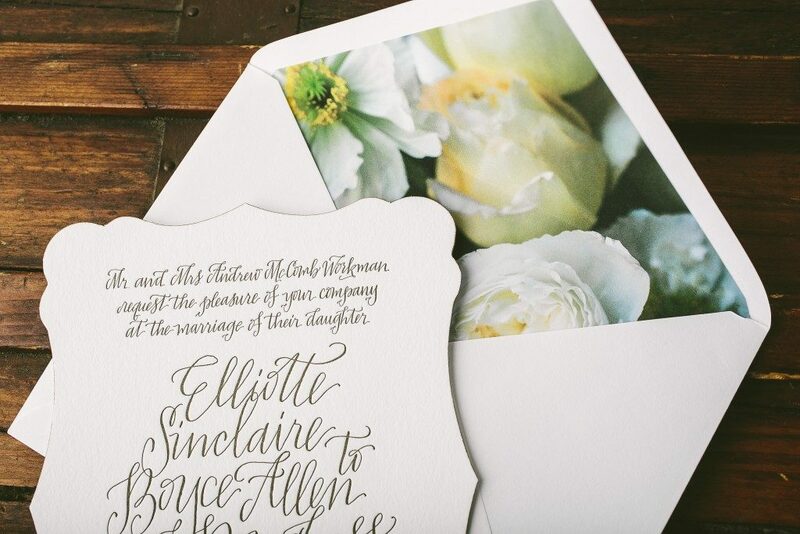 Our die-cut Elliotte calligraphy wedding invitations by Elizabeth Hardin feature olive letterpress ink on our white cotton paper and pair beautifully with our soft yellow and white Flora pattern #8. 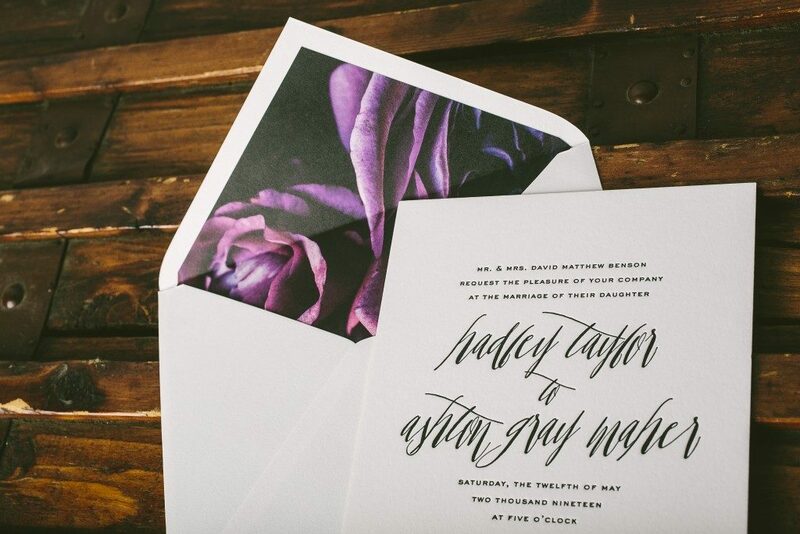 The modern Belperron design by Kelle McCarter is printed in classic black ink and includes oversized hand calligraphy accents— we love how it looks with the dramatic, deep purple Flora liner #46. The soft gray color palette on one of our best-selling designs, Colette, pairs perfectly with Flora pattern #2. 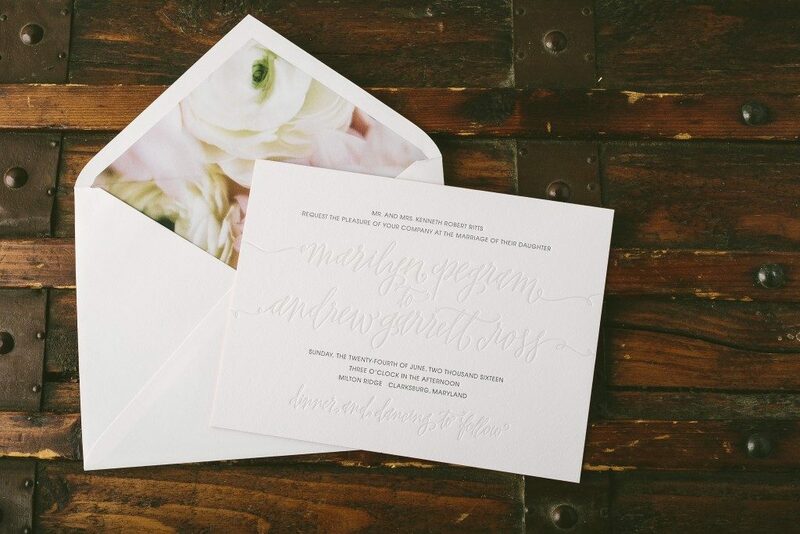 These new Flora patterns pair nicely with our ivory paper, too! 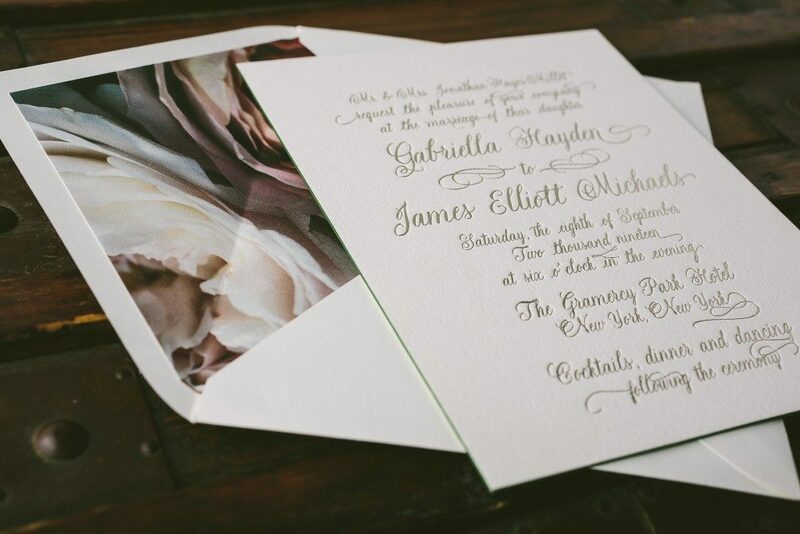 Leyton, a modern classic by Amy Graham Stigler from our 2016 collection, is printed in tawny matte foil on our ivory paper — we matched it up with Flora pattern #10 for an English garden feel. 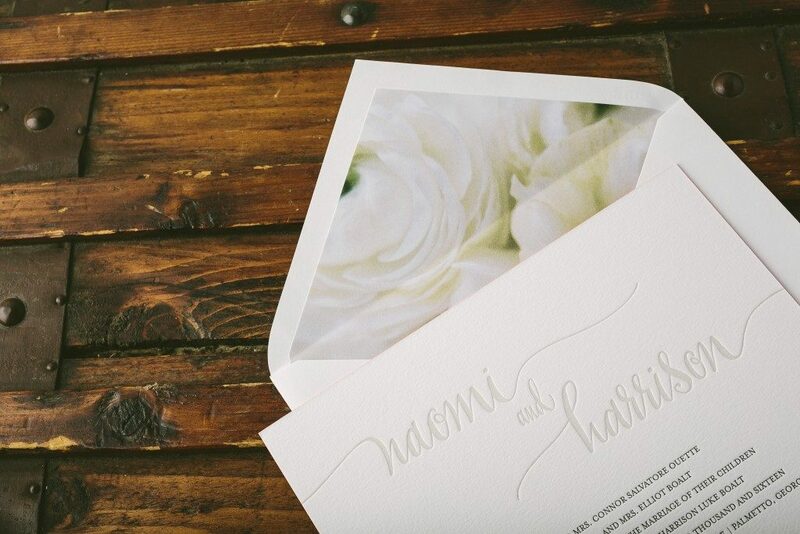 We paired Splash, a modern letterpress wedding invitation from our 2016 collection, with Flora pattern #7. Hadley, another new suite from Amy Graham Stigler, looks stunning next to the deep purple roses in Flora pattern #9. 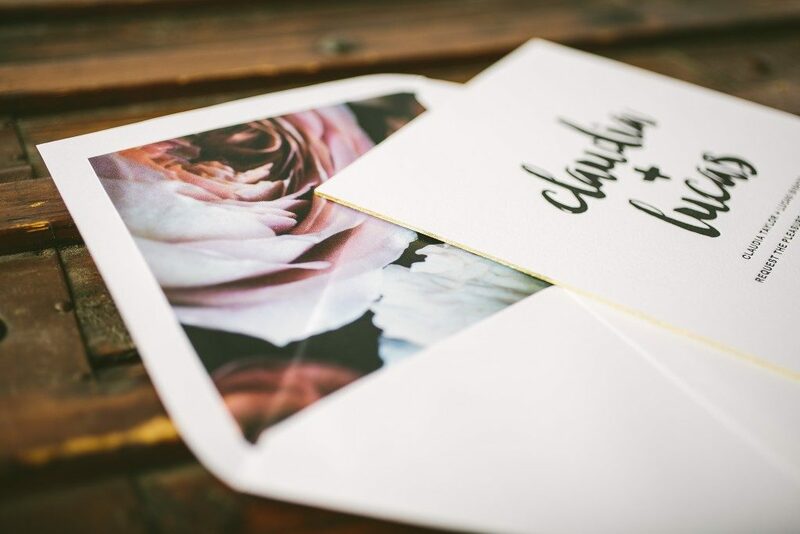 And last but not least – how pretty is our light peach ink next to Flora pattern #13?! 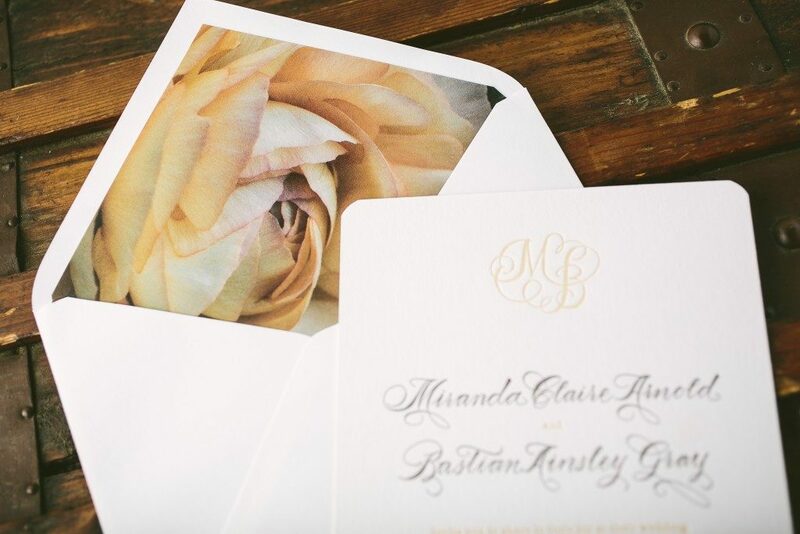 We love the Southern charm of our Calligraphy Monogram design next to this soft peach rose!